A very popular design, particularly for summer weddings. 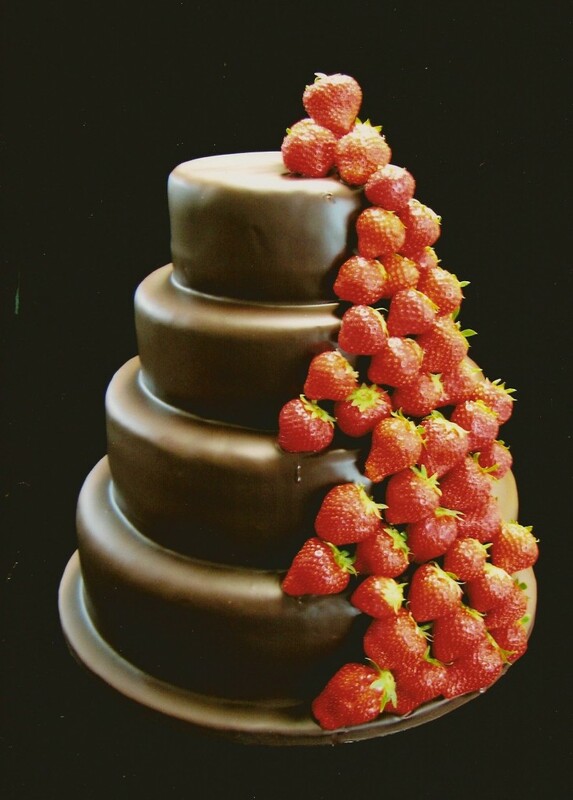 Layers of rich chocolate cake covered with a Belgian chocolate glaze and lots of cascading strawberries. Serve with jugs of cream and bowls of strawberries for a wonderful summer wedding dessert.